Welcome to Welding Plus, LLC. We are a full service welding and railing company serving Montgomery, Frederick & Howard County Maryland as well as Washington DC and Northern VA.
Welding Plus, LLC specializes in commercial and residential railings for clients in Montgomery County Maryland & Washington DC. Welding Plus help you create a Memorable Work of Art for your home or business with our custom ornamental iron works. 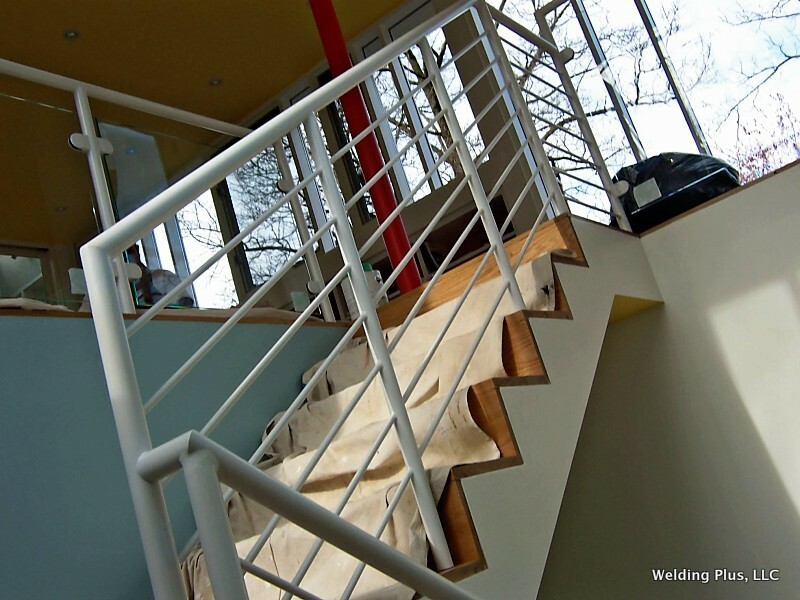 Welding Plus LLC is a full service Welding & Railing company serving Montgomery County, Frederick County and Howard County in Maryland as well as Washington DC, Loudoun County and Fairfax County in Virginia. It’s amazing what can be done with welding. Shapes can be welded into complex designs that can enhance your home or business with railings, stairs, fireplace, window and door treatments, security grills, gates, fences and many other practical items in a variety of finishes. Why settle for store-bought items that you have to make fit your space? We can custom manufacture the exact piece that fits and is a reflection of you or your business, adapting designs to an existing space to strict and variable building codes and to surrounding architecture. We fulfill your artistic vision from Medieval to Modern, giving you the look you want. You can stand out from the neighborhood with affordable elegance.